It’s been quite some time since we had some news concerning System 3, well no more the developer/publisher cries, as they have news to share and while the first part of that news is them having 6 games in the works, the second and most important part is the fact that Super Putty Squad is coming to Switch this month, and it will be available both digitally and physically. 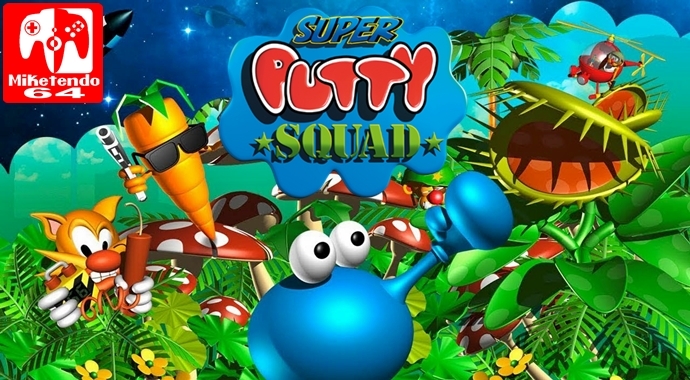 London, United Kingdom – November 8th, 2017: System 3, one of the UK’s leading independent developer/publishers, is delighted to announce the release of Super Putty Squad in November for Nintendo Switch, available from the Nintendo eShop and at retail worldwide. Super Putty Squad sees the return of an unlikely hero, Putty, to the perfect platform, Nintendo Switch. With its specific form factor, gorgeous screen and immersive controls, Nintendo Switch is the ideal platform for Putty. If ever a console was designed for a game; Nintendo Switch and Super Putty Squad are the gameplayers dream and a compulsive combination. Described by Mail Online as ‘incredibly addictive’, Super Putty Squad oozes quality through its unique design and quirky gameplay. The critically acclaimed Putty Squad first made its way to gamers screens on the Amiga in 1992 and now our hero returns as part of System 3’s 35th year anniversary celebrations. Putty once again takes on a stirring quest to rescue his kidnapped friends in a reinvigorated and modern platform game that focuses on fun while losing none of its charming originality. Super Putty Squad is released for Nintendo Switch in November 2017 at retail and online via the Nintendo eShop.